A.S.A. Enterprises (A.S.A.) was incorporated in Botswana in 1983, with the objective of providing the latest technology products and services in the fields of Mechanical, Civil, Water, Instrumentation and Electrical Engineering. A.S.A. is a family-orientated, locally developed business that practices quality management with a strong commitment to customer satisfaction, market leadership and good financial performance. 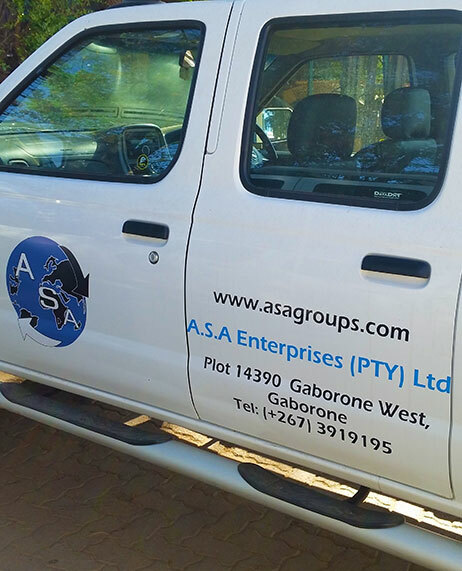 Harnessing cutting-edge technology and employing only world-class technical and business professionals, A.S.A. is able to offer a quick, effective response to manage the needs and expectations of customers in an ever-changing, fast paced environment. Continuous benchmarking, monitoring and evaluation and a sensitivity to customer needs insures that A.S.A. is an enterprise that takes pride in its products and services and is constantly on the lookout for ways to evolve and improve to meet the challenges of the dynamic markets of the 21st century. Today, A.S.A. is one of the leading, well established enterprises in the Republic of Botswana with Annual group turnover of more than 15 Million USD and is well on its way to becoming the global standard it set out to achieve. Certified as Grade “E” Code 08, and Code 03 (Sub Code 23) contractor by Public Procurement Board and Asset Disposal Board (PPADB) in Botswana, which allows us to bid for Projects of unlimited value and to offer turnkey solutions to various private, parastatal, government and industrial sectors.